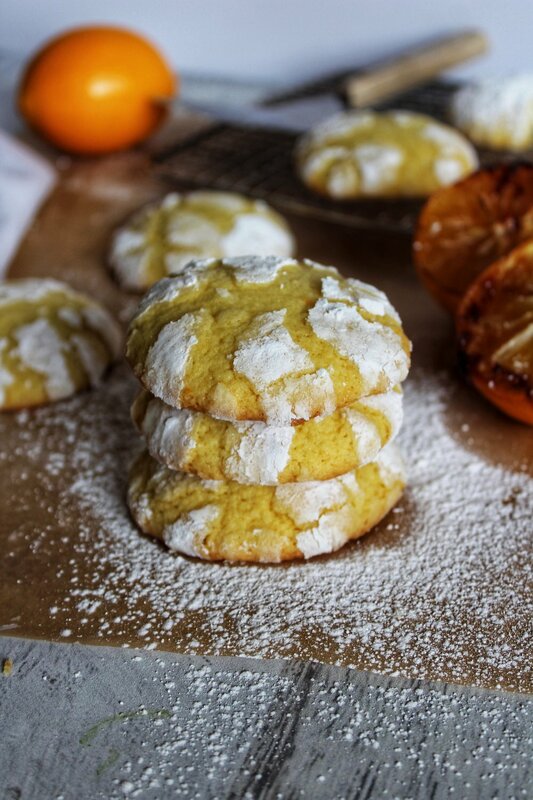 Not only are Roasted Meyer Lemons pretty to look at, they also give these crinkle cookies a unique herbaceous flavor. If you like Rose or Lavender in baked goods, you will go crazy over these. Typically Meyer Lemons are sweeter and less "puckery" than normal lemons. But after being roasted, they take on sort of an herby flavor. I was even thinking of adding Roasted Meyer Lemon Juice to a salad dressing, or marinade! The options are endless with this unique flavor!